2nd Lieutenant Thomas Godwin Hobbs DFC, Royal Air Force. 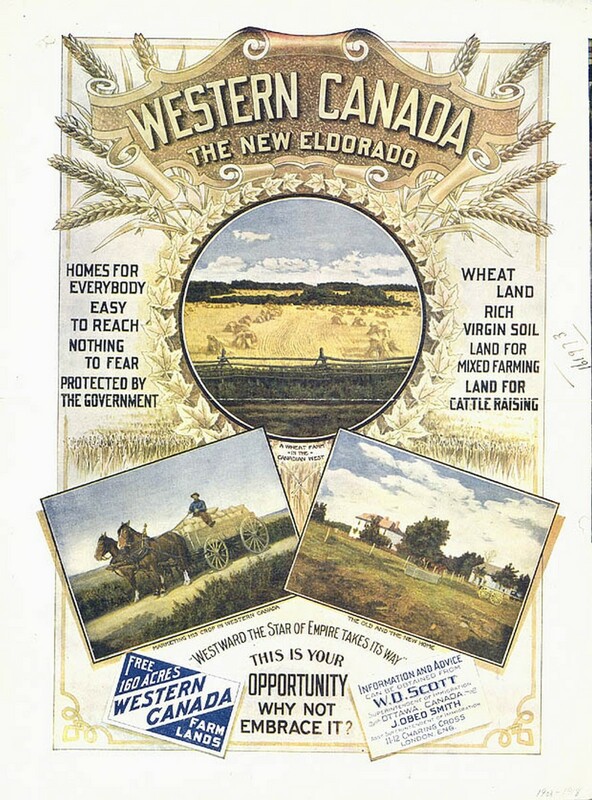 Poster offering land for all in Canada's west. Thomas was born on 19 September 1889 in Alverstoke, Hampshire, the son of Ernest Hobbs and his wife Louisa Marian née Tubbs. Ernest was a wine merchant, taking over the family business from his father William; he and Louisa had four children in total, the others being: Ernest William (born 1887), Gladys Louise (1891), and Eric (1895). Ernest sent all his sons to St Edward’s School in Oxford, where their education would have included involvement in the school’s cadet force. Schools like St Edward’s inculcated the ideals of service of the Empire and supplied a disproportionate number of young subalterns when war broke out in 1914. Thomas attended the school from 1901-1905 and then moved on to an unspecified ‘business career’ (it is not clear what sort of ‘career’ a 16 year old would follow, but his occupation in England was later described as ‘clerk’). In 1909, aged 20, he emigrated to Canada to become a farmer in Saskatchewan leaving Liverpool on the SS Victorian on 19 March and landing at Montreal a week later. He became the owner of a farmstead through a scheme sponsored by the Canadian government which offered 160 acres of prairie farmland to qualifying immigrants. This was virgin territory, where settlements were notional – Thomas described his land in his will: Homestead and pre[-e]mption South half of section two, township fifteen, range 27 West of 3rd Meridian Saskatchewan, Canada. The nearest settlement was Golden Prairie, a tiny village north of Maple Creek where he had deposited the deeds to his homestead in a bank. He left his entire estate to his mother. When war broke out thousands of young men like Thomas scattered all over the world made up their minds to get home and serve their country’s cause. The simplest way for Thomas to do this was to enlist in the Expeditionary Force being recruited in Canada so that is what he did enlisting at Winnipeg on 21 December 1914 as Private 81394 Hobbs. His attestation papers give some hints as to his appearance, 5ft 7½in tall with grey eyes, fair complexion and brown hair. At this time his mother (his next of kin) was living at 1 The Avenue, Hythe in Kent. On 23 February 1915 he sailed on board the SS Vaderland as a member of the Canadian Expeditionary Force (CEF) bound for the UK. Prior to sailing he was listed as a member of the 32nd Battalion, but the next reference shows him in the 8th Battalion – also known as the 90th Winnipeg Rifles. The CEF was the first Empire force to arrive in England, virtually untrained they spent months in camps in England learning to be soldiers before crossing the channel to France. The 1st Canadian Division (including the 8th Battalion as part of the 2nd Brigade) landed in France in February 1915, in time to face the German assault in the 2nd Battle of Ypres – a vicious baptism of fire. However, Thomas would not have been ready for service in February, he landed in France on 2 May 1915, just after the fighting at Ypres and joined up with his battalion the following day. The served in the trenches for three months, including service during the Battle of Festubert within days of his arrival. In July he fell ill and was invalided back to England suffering from trench fever. Trench fever was a catch-all term for a range of debilitating conditions brought on by life in miserable insanitary conditions – in time Thomas would make light of his condition describing it as ‘mild fever and rheumatism’, but men were not sent home with a mild fever! His medical record lists a range of conditions as he went from No 3 Field Ambulance (sick) to No 3 General Hospital at Treport (not yet diagnosed) to Auxiliary Hospital, Cromer (sick, slight rheumative fever) to the Canadian Convalescent Hospital, Monks Horton (rheumatic fever). A few days later he moved on again, to Woodcote Park Convalescent Hospital at Epsom. Three months later he was circumcised at Shorncliffe Military Hospital – nothing to do with his illness. He never returned to action with the CEF remaining in Shorncliffe Camp near Folkestone in Kent with the 18th Reserve Battalion. While there he had took advantage of life in England and met a local girl, Patricia Dora Miles, from Sellinge a few miles up the London Road out of Shorncliffe. 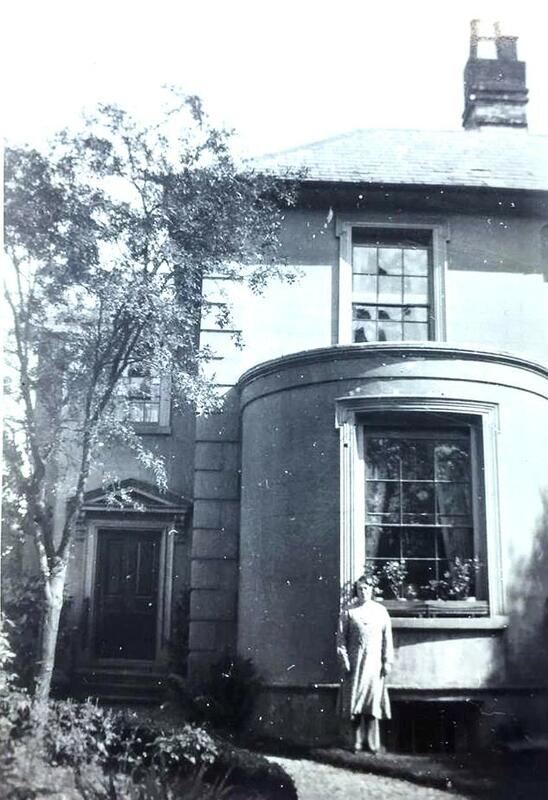 Following his father’s retirement Thomas’ parents moved around a lot – to Hythe in Kent, Weybridge in Surrey and then to Newbury, first to 2 Belvedere Drive and then to a house known as Lea Hurst (18 Newtown Road) which has since been demolished and replaced by a block of flats. His mother was originally from Hill Green, Leckhampstead, so the choice of Newbury for their retirement was not remarkable. After a long time sick (the diagnosis eventually settled on rheumatic fever) unable to exert himself without his heart racing Thomas was finally discharged – fully fit – on 17 February 1917 and was posted to the 8th Reserve Battalion of the CEF, where he would await a posting to a battalion at the front. On 28 April 1917 he was back in hospital initially diagnosed as ‘seriously ill’ – with what turned out to be mumps. He was discharged from Folkestone Isolation Hospital on 15 May, which seems to have been the end of his health problems. Mr T G Hobbs was my pupil for some years at St Edward’s School. I can recommend him for a commission in the RFC with confidence. He bore an excellent character & made fair progress in his studies: and I lay emphasis on the fact that as an athlete he showed the highest qualities of resource and endurance. 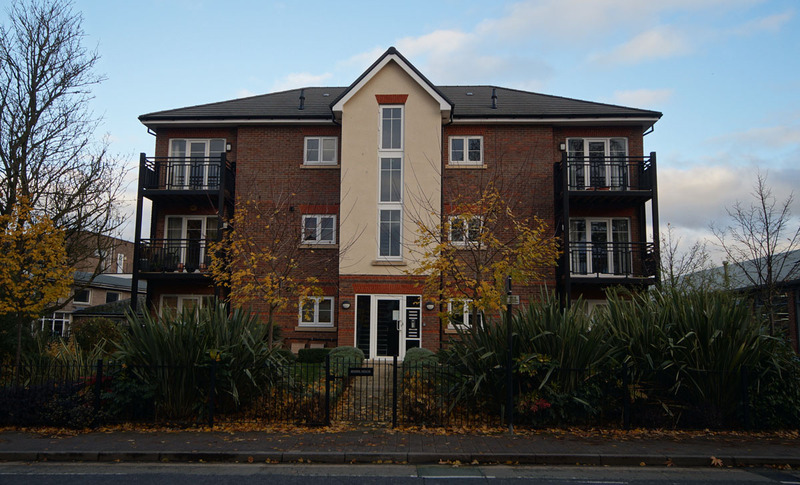 (No 18), it was the northern of a pair of semi-detached houses that have been demolished and replaced by these flats. It has to be admitted that the school records do not suggest that he was academically minded. The current (2015) school archivist writes that Thomas was in the Middle Modern Form on leaving which indicates no great scholar. However, academic excellence was not a requirement of an RFC subaltern and Thomas was accepted for Cadet Training and was sent to No 1 Cadet Wing, Royal Flying Corps on 19 December 1917. The following day he received his commission as a probationary 2nd Lieutenant (Gazetted 1 January 1918). He was deemed suitable for pilot training and, on 9 February arrived at 13 Training Squadron. He learned to fly on De Haviland DH6 and Royal Aircraft Factory BE2e aircraft. In four months he was ready for action (or as ready as circumstances dictated) and was posted to 59 Squadron in France. Before he left for France he and Patricia married in the parish church at Sellinge on 16 May 1918. He arrived at 59 Squadron on 12 June. There he would be flying Royal Aircraft Factory RE8 aircraft, a trickier plane to fly than he was accustomed to, but he appears to have had talent as a pilot and was soon at home in the pilot’s seat. Behind him, his observer/gunner was Lieutenant C R A Wallis (outranking him). In August the tide of war turned for the final time, at Amiens the British Army struck the German positions close to the east of the city, where the German defences were relatively weak because they had only captured the area a few months earlier, during their great Spring Offensive. The British used everything they had learned in the long years of fighting, tanks rolled over barbed wire and neutralised machine gun nests allowing the infantry, advancing steadily behind a rolling barrage of shells that moved forward 50 yards or so in front of them to get into the German positions with many fewer casualties than in past assaults. At the same time the artillery attacked enemy artillery, reducing their ability to halt the infantry advance; longer range artillery attacked supply dumps, railways, crossroads, and anywhere the enemy might assemble troops for a counter-attack. To do this effectively the artillery needed information – where were the enemy guns? where were the enemy assembling a counter-attack? And, very importantly, where were the British troops (advance the rolling barrage too slowly and it might land on British soldiers, too fast and the German defenders might have time to get out of their dugouts and set up machine guns before the British were in their trenches). Every available method was used to get this information – signals from the advancing troops, sound ranging devices to detect enemy guns, observers in tethered balloons – but often the most effective tool was the aeroplane. Planes like the RE8s of 59 Squadron would spot enemy activity and report back (many planes were fitted with wireless – Morse code, not voice – but, nevertheless a huge advance in technology from vulnerable telephone lines laid across no-mans-land, carrier pigeons and semaphore). Another role for the RE8s was bombing and strafing behind the enemy lines. Naturally the Germans made every attempt to destroy spotter planes; by this time enemy fighters were not as much of a problem as previously, the Allies had finally achieved air superiority, but anti-aircraft guns and every German soldier with a rifle or machine gun was liable to take a shot at them. A skilful and gallant officer. On 21st August this officer did six hours flying. He was twice attacked by large formations of enemy aeroplanes, but on each occasion, by skilful manoeuvre and resolute fighting, he drove them off and continued his patrol, bring back much valuable and accurate information. On the same day he attacked enemy transport, causing great confusion and inflicting heavy casualties. The following day he returned to base with his plane full of holes – ‘shot through on patrol St Amand’. The next day, 23 August, he and Lt Wallis were tasked with a ‘contact patrol’, one of the most dangerous tasks as in involved flying fairly low over the heart of the battlefield to determine where the advancing British were; where they were being held up by a machine gun, where they were signalling for support of some kind (more men, more grenades, etc). Thomas was hit by machine gun fire, probably from the ground, but managed to get his plane down without injuring his observer who was unharmed by the incident. Thomas was taken to No 3 Casualty Clearing Station at Gezaincourt, near Doullens. Sadly he died soon after. HOBBS – On 23rd August, of wounds received in action the same day, 2nd Lieut Thomas Godwin Hobbs, RAF, dearly loved son of Mr and Mrs Ernest Hobbs, of Lea Hurst, Newbury, grandson of the late Thomas Tubb, of Hill Green, and beloved husband of Patricia Hobbs (née Miles), aged 29. News has been received of the death of 2nd-Lieut Thomas Godwin Hobbs, son of Mr Ernest Hobbs, of Lea Hurst, Newtown Road, Newbury. Born at Gosport, deceased was educated at St Edward’s School. Oxford; and took up farming in Canada in 1909, but returned in October, 1914, and after training went to France with a Canadian contingent. He subsequently contracted trench fever, and in September, 1917, was transferred to the Royal Air Force, and qualified as a pilot. He returned to France in June last, having married in May, and died of wounds received in action on August 22nd. His CO speaks of his as one of the most gallant and popular officers in the squadron, and showed the promise of great things. Thomas was buried in grave IV. D. 10 at Bagneux British Cemetery, Gezaincourt. Locally he is remembered on tablet 3 the Newbury Town War Memorial, where his name is immediately above that of his brother Eric. 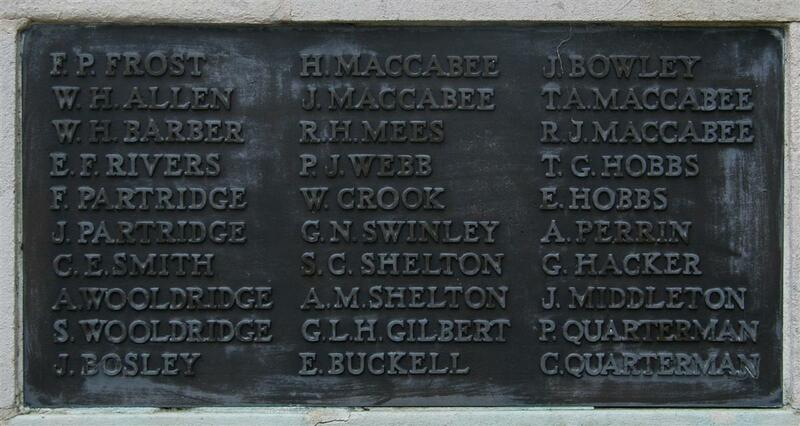 Their names were also recorded on the roll of honour board in the original St John’s Church, Newbury which was lost when the church was destroyed by an enemy bomb in February 1943. He is also remembered at his old school, St Edwards, where the panelling in the chapel incorporates a painted panel for each old boy who fell in the war. Eric Hobbs was Thomas’ younger brother; he too died during the war, on the infamous first day of the Battle of the Somme. His story is told here. The third brother Ernest William Hobbs did not serve in the war. Educated like his brothers at St Edward’s School, Oxford, he went on the get an MA from Durham in 1910 before entering the priesthood; he was deaconed in 1911 and priested in 1912. During the war years he was curate at Hythe (1913-14) and All Saints, Twickenham (1915-17) before taking a position in the Diocesan Office at Southwark (1917-22). He was an executor of Thomas’ will in 1918. In 1922 he married Jessie, recently widowed when her first husband died as a result of wounds received in 1917. 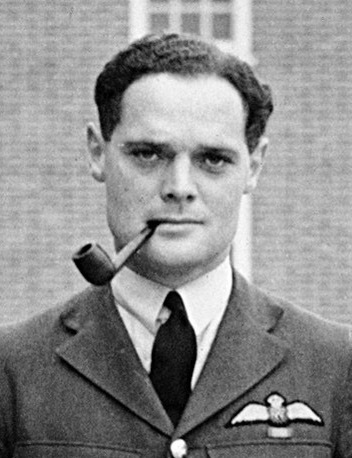 By this marriage Ernest also gained a step-son who was to become very well known during the next war – Douglas Bader. Bader also went to St Edward’s, no doubt selected by his step-father. The school also educated another RAF hero – Guy Gibson of Dambusters’ fame.